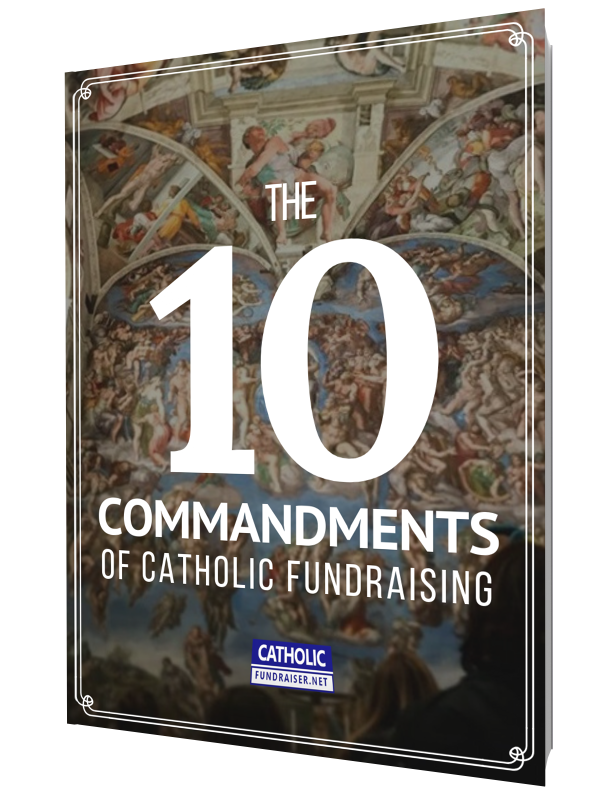 Make sure to get your free copy of ‘The 10 Commandment of Catholic Fundraising’. It’s a book that highlights the ten tasks you should do to keep you focused on your mission and hit your fundraising target, every time. If you are fundraising in November and December, you don’t want to miss this opportunity. One of the biggest trends in Catholic fundraising is the social media campaign called #iGiveCatholic. This campaign is an online giving day that kicks off the charitable season and brings the Catholic community together to give thanks and give back. It is celebrated annually on the Tuesday following Thanksgiving, Black Friday, and Cyber Monday. The hashtag, followed by the phrase ‘I Give Catholic,’ was inspired by the popular non-profit social media campaign #GivingTuesday, a global day of giving. In social media (Facebook, Twitter, Instagram, LinkedIn), when a word or phrase is preceded by a hash mark (#) when it is used in a post, it becomes indexed by the social network and becomes searchable/discoverable by other users. The #iGiveCatholic social media campaign is an online giving day designed to celebrate our unique Catholic heritage. #iGiveCatholic inspires faithful stewards to “Give Catholic” on #GivingTuesday. This year it will be celebrated on Tuesday, November 27, 2018. Are you on the go? No worries! You can also listen to this article via audio podcast on SoundCloud. Click the link below this message and stream this article and many more right on your phone. In 2017, the campaign raised more than $3.6 million for 600+ participating parishes, schools, and nonprofits representing 17 arch/dioceses across the country. At the close of this 24-hour giving period, the number of online contributions totaled more than 13,000 gifts. Doing the math, that is an average $277 per donation. Already, 29 Catholic dioceses across the United States have signed up to participate. However, don’t think you need to be a diocese to participate. Catholic causes of all shapes and sizes are participating, include SVP chapters, schools, parishes, youth ministries, retreat centers, and religious communities. The goal of the #iGiveCatholic day of giving is to rally Catholic communities in support of the organizations that shape our souls: parishes, schools, ministries, and not-for-profit organizations. If you are part of my Catholic Fundraiser Community, you have been invited to my private workshop to learn how to build and run your own #iGiveCatholic campaign. If you are not already a member of this community, I recommend you do so now by clicking this link. Otherwise, you can jump over to the official website, iGiveCatholic.org, https://www.igivecatholic.org/ where you can access templates and resources to start your campaign. Question: Will you be taking part in the #iGiveCatholic campaign this year?